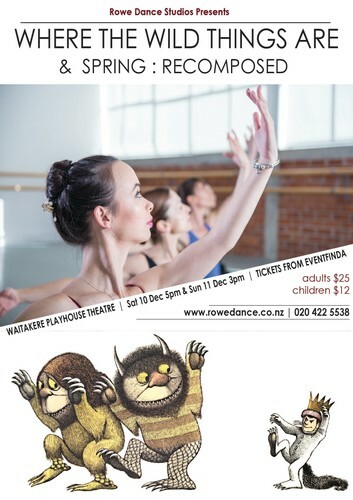 This year's Rowe Dance production will start with a dance re-telling of Maurice Sendak's picture book 'Where the Wild Things Are', followed by a short collection of classical solos and the premiere of Meaghan's new piece 'Spring : Recomposed'. A show suitable for all ages with a great mixture of classical and contemporary dance! There will be a short certificate ceremony for the younger performers at the end of the Sunday afternoon show. Get in quickly to reserve your seats!